When we travel we connect with a product (our passport) this enables us to connect with people (visiting family, friends and business associates). 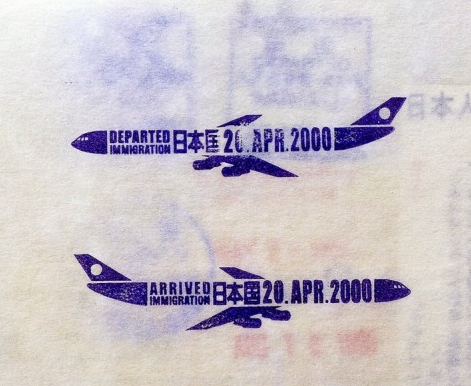 Traditional entry and exit passport stamps are basic shapes, they are functional and simple, but Masahiko Sato’s design of the Japanese entry and exit stamps for Kenya Hara’s 2000 exhibition RE-DESIGN: Daily Products of the 21st Century, explores and re-thinks everyday processes and objects. This rethink puts a smile on the traveller’s face, creating an ‘ah-ha’ moment that is full of goodwill.